LABORAIORY INVESIIGAIION Ihe basic laboratory parameters that should be obtained in a patient with a suspected bleeding disorder are a complete blood count and platelet count, prothrombin time, and activated partial thromboplastin time. Ihe results of these tests coupled with clinical evaluation should enable one to formulate a differential diagnosis. Further hematologic evaluation, using the tables provided in the chapter, can then follow. Hematologic consulation should be sought if the differential diagnosis or the laboratory approach is unclear. Acquired qualitative platelet abnormalities, characterized by abnormal platelet function, occur in many disease states ( I.a,b. .e 2.1 1. 2). When present, functional abnormalities can be associated with excessive bleeding regardless of the platelet count. 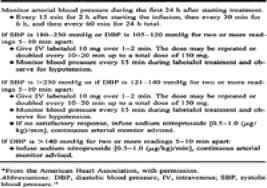 Ta b .e ,.2.1,1 3 outlines some commonly used drugs that can cause platelet dysfunction. Thrombocytopenia is most often caused either by defective platelet production or excessive platelet destruction. Defective platelet production is a common manifestation of many toxic (e.g. chemotherapy), nutritional (e.g. folate or B1Z deficiencies), or neoplastic disturbances of bone marrow hematopoietic stem cell proliferation and differentiation. Thrombocytopenia that is caused by an increased peripheral destruction of platelets is characterized by a shortened platelet survival (normal survival is about 10 days), increased proliferation of marrow megakaryocytes in an effort to compensate for the decreased platelet lifespan, and an increase in the percentage of large (young) platelets in the circulation (normally there are about 10 ). The process is frequently immune mediated. It is common experience that a particular drug may cause hemolysis in one patient, thrombocytopenia in another, neutropenia in yet another, and sometimes combinations of these in the one patient. The drug-induced antibodies responsible for these immune cytopenias are cell specific. We are still at a loss to know why a particular drug binds to a particular cell in a particular patient. As already indicated, the antibody may recognize not only the drug but also a specific cell membrane component. Antibodies from patients with drug-induced thrombocytopenia or neutropenia show restriction, in that they react with variable proportions of normal donor cells exposed to the drug (10-80 in one study). This is not related to HI,A or known cell-specific antigens, and family studies suggest that an unidentified polymorphic membrane determinant may be involved as a cell receptor carrier. Another feature of drug-induced antibodies is their extreme heterogeneity from patient to patient and their individual specificity, reflecting a unique immune response. A limited proportion of individuals with the p-thalasse-mia carrier phenotype show completely normal p-globin gene sequences as well as normal LCR sequences. Recently, mutations in the general transcription factor TFIIH coding for a specific helicase have also been shown to be associated with p-thalassemia carrier phenotype besides tricothiodystrophy. Furthermore, depending on the site of mutation, mutations in GATA-1 resulted either in dyserythropoietic anemia and thrombocytopenia or thrombocytopenia and p-thalasse-mia carrier phenotype. The results indicate that the p-thalassemia carrier phenotype may result from mutation in a transcription factor regulating the function of the p-globin gene. In this serious and, from an immunological point of view, interesting reaction, severe thrombocytopenia develops 5-7 days after a transfusion. The reaction occurs in patients, nearly always women, who have become sensitized to a platelet-specific alloantigen, usually as a result of pregnancies but occasionally by blood transfusion. The reaction is thus due to plate-let-specific antibodies, anti-HPA-la in the great majority of cases, but antibodies against other HPA antigens have also been involved. In this reaction, the patient's platelets, which are of course negative for Rarely thrombocytopenia is induced by platelet-specific antibodies in the donor plasma. In contrast to post-transfusion purpura, thrombocytopenia occurs immediately after the transfusion in these cases. If it were possible to rank features (i.e. decide what are the essential features), according to how frequent they are found in reported cases, then this could be easily incorporated into the database and indeed some have tried to do this. If 100 of cases of TAR syndrome (AR standing for aplasia of the radius and the T for thrombocytopenia), despite having radial aplasia, always had the thumb present, then clearly a diagnosis could not be made if it were absent and the computer could be programmed to insist on this. The female reproductive tract cancers account for 13 percent of all cancers in women, following breast, lung, and colon cancer. Symptoms occurring as a result of natural progression of malignancy include bleeding, nausea and vomiting, obstructive uropathy, failure to thrive, and or paraneoplastic syndromes. Treatment with surgery, chemotherapy, and radiation can themselves cause complications. Surgical complications include bowel and urogenital tract injury, thromboembolism, and bleeding. Chemotherapy-related complications include anemia, febrile neutropenia, thrombocytopenia, neuropathy, uropathy, nausea and vomiting, extravasation injury, and stomatitis. Radiation-related complications focus mainly on injury to the gastrointestinal and genitourinary tracts. Metabolites of azathioprine are incorporated into DNA and RNA strands, inhibiting their synthesis and function. The immunosuppressant action of azathioprine occurs through blocking gene activation of stimulated I-lymphocytes. Azathioprine is prescribed at a dose of 2 mg kg day on a continuous basis as maintenance antirejection therapy. Noncompliance with azathioprine has been associated with a high rejection rate. Deleterious effects of azathioprine include leukopenia, thrombocytopenia, hepatotoxicity, and increased risk of neoplasm. Whereas in the past, splenectomy was frequently performed for the management of severe thrombocytopenia and or for relief of mechanical compression by the greatly enlarged spleen, by removing the main reservoir for Gaucher cells, splenectomy may induce or aggravate liver and bone involvement. Today, splenectomy is rarely indicated. In addition to prolonged high fever, hemolysis, and, in the case of infection with P. falciparum, obstruction to capillary flow, immunologic sequelae may also occur, resulting in glomerulonephritis, nephrotic syndrome, thrombocytopenia, and polyclonal antibody stimulation. Lastly, hypersplenism with resultant pancytopenia may occur, especially in cases of prolonged, untreated malaria. Hemolytic-uremic syndrome presents as acute onset of microangiopathic hemolytic anemia, renal injury, and low platelet count. Most cases occur within 3 weeks of an acute diarrheal illness. A low platelet count is typical early in the illness (within the first 7 days) but may have normalized by the time the patient seeks care. If the platelet count is not less than 150,000 pL within 7 days of the onset of the gastrointestinal illness, consider another diagnosis. Thrombotic thrombocytopenic purpura has similar features and is distinguished from hemolytic-uremic syndrome by the presence of fever and CNS involvement. Additionally, it may have a more gradual onset. Few cases of thrombotic thrombocytopenic purpura are associated with a diarrheal illness. An important part of the medical history is found in the operation note. It describes technical difficulties, iatrogenic vascular injuries, and other problems. 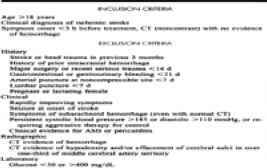 Information about preoperative bleeding, substitution, and systemic anticoagulation is found in anesthesia notes. A history of a previous tendency to bleed (for instance, difficulties stopping bleeding after minor wounds, a tendency to bruise easily, or bleeding during tooth brushing) and bleeding complications in previous surgery can be revealed if the patient is awake. Information about current medication with aspirin or clopidogrel is important, along with the most recent INR and ACT values and platelet count. Substantial hemorrhage during the primary operation can cause a deficiency in coagulation factors. Before starting the reoperation, it is recommended to check if the patient has received packed cells. If the amount administered exceeded four to six units, at least two units of fresh frozen plasma should be given right away. If more than eight units of red blood cells had been given, a thrombocytopenia may contribute to the bleeding. Minor bleeding from surgical wounds and small hematomas is observed with applied compression over the area. For prolonged minor bleeding, hemoglobin, INR and ACT values, and platelet count are checked, and medications affecting the coagulation system are discontinued. These blood samples have a low sensitivity as a screening test for hemostasic function and only 30 of normal co agulation activity is required to obtain normal values. A better measure of platelet function is the number of platelets or the bleeding time. A prolonged bleeding time supports the use of des-mopressin. If a disturbed hemostasis without obvious causes is found, consultation with a coagulation specialist is recommended. A platelet count < 50 x109 l is considered insufficient for hemosta-sis and is an indication for platelet transfusion in case of bleeding. At reoperations platelets should be administered immediately before the start of the operation to give the best possible effect. There is a recognized significant risk of morbidity and mortality from neurologic complications following bone marrow transplant (BMT). Subdural hematoma has been reported to occur in up to 12 of patients (all ages), with 75 diagnosed at autopsy without antemortem clinical symptoms.139 Although more commonly occurring in adult BMT patients, SDH has been reported in children as young as 4 years.140 They usually are unilateral in nature, randomly distributed, and variable in size.141 Although the mechanism underlying the cause of the SDH remains unknown, there is an association with pretransplant thrombocytopenia and or coagulopathy. A full blood count also provides the platelet count (raised in acute blood loss and acute inflammation) and the white cell count (raised in infection). A differential white cell count distinguishes between neutrophilia (bacterial infection, inflammation) and lymphocytosis (viral infection). If the platelet count, white cell count and haemoglobin are all low, this indicates marrow aplasia or infiltration. Abnormalities which may be detected on examination of the blood film include a raised reticulocyte count (haemolytic anaemia, continued bleeding), sickle cells or malarial parasites. Further investigation may be indicated before blood transfusion, e.g. additional blood tests (ferritin, vitamin B12, folate, reticulocyte count, direct Coomb's test) or bone marrow aspiration. There is an immediate and progressive rise in the platelet count after splenectomy to levels of 600-1000 X 109 l. After a peak at days 7-12, platelet levels usually return to normal, but it may remain elevated for up to 3 months. If the platelet count is persistently elevated above 1000 X 109 l, prophylaxis against deep vein thrombosis should be instituted for example, oral aspirin at 150 mg day. Acquired platelet abnormalities include both quantitative and qualitative defects. Quantitative problems are usually associated with bleeding complications at a platelet level of less than 50,000 pL with spontaneous bleeding, including central nervous system (CNS) hemorrhage, likely at a level below 10,000 pL. Ta.ble ,.2,ll.-1 depicts the causes of acquired thrombocytopenia I .ble 210-6 displays the drugs most commonly associated with thrombocytopenia. Platelet counts above 400,000 pL are encountered most commonly in inflammatory reactions, patients with malignancy, splenectomized patients, and those with polycythemia vera. Thrombocytosis can be associated with bleeding or thrombosis and is considered an emergency when platelet levels exceed 1 million pL or are associated with evidence of CNS dysfunction or acute thrombosis or hemorrhage. Although more prevalent with higher doses of CsA in the 1980s, thrombotic microangiopathy (Fig. 21.3) still occurs under current regimens, even with careful attention to blood CsA levels. By 1994, the prevalence of CsA-associated thrombotic microangiopathy had decreased to 0.9 , accounting for 26 of the cases of thrombotic microangiopathy after renal transplantation (acute rejection, probably humoral, accounted for 53 and recurrent thrombotic microangiopathy 16 ) (5). Patients typically present with acute renal failure, thrombocytopenia, microangiopathic hemolytic anemia, elevated lactic dehydrogenase, and hyperbilirubinemia. Despite these characteristic features, the clinical syndrome is not often recognized before biopsy. Those without systemic signs (thrombocytopenia, hemoly-sis) do considerably better (6). Type 2B VWD is characterized by increased affinity of the mutant VWF for platelet and reduction in high molecular weight multimers (Fig. 2). The remaining VWF multimers are not hemostatically effective and cause bleeding and thrombocytopenia in the patients that can be exacerbated during physical exercise, stress, and pregnancy. This defect is identified in the laboratory by enhanced ristocetin-induced platelet aggregation. Type 2B is inherited as an autosomal dominant and accounts for less than 20 of all type 2 VWD. Aside from a single amino acid insertion, the genetic defect is generally found to be a point mutation in the A1 domain of VWF gene that contains the glycoprotein Ib (GpIb) binding domain and results in a gain of function. The most frequent mutations are Arg1306Trp, Arg1308Trp, Val1316Met, and Arg1314Gln accounting for 90 of the subtype. Hematologic complications include autoimmune hemolytic anemia and thrombocytopenia. Corticosteroids will benefit some patients with hematologic complications and should be initiated in the emergency department for those admitted with severe anemia or severe thrombocytopenia. Refractory severe thrombocytopenia may be treated with splenectomy. Treatment for acute DVT or PE can be accomplished with unfractionated heparin using a weight-based intravenous regimen with monitoring by the aPTT and subsequent adjustments guided by the results. Alternatively, acute PE or DVT can be treated with LMW heparin, either enoxaparin 1 mg kg or dalteparin 100 IU kg, administered subcutaneously twice a day. The advantages of LMW heparin are a more predictable anticoagulant effect, easier administration, no requirement for laboratory monitoring, and a decreased risk of complications (major bleeding and heparin-induced thrombocytopenia). LMW heparin appears to be as effective as unfractionated heparin in the treatment of acute DVT or PE and, with the abovementioned advantages, has much to recommend it. The major disincentive to using LMW heparin is greater cost than for unfractionated heparin. Thrombocytopenia This is most often due to portal hypertension, which leads to hypersplenism and splenic sequestration. Ethanol causes direct bone marrow suppression and reduced production of all hematopoietic cells including platelets. 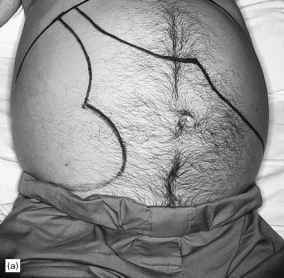 Patients with mild or moderate hepatic dysfunction most often have subclinical hemostatic abnormalities. Those with severe liver disease may have life-threatening bleeding. Laboratory studies that should be obtained include hemoglobin hematocrit, PT, aPTT, thrombin clotting time (TCT), and platelet count. Fibrinogen levels and measurement of FDPs or D-dimers may not be readily available. In general, prolongation of the PT is a poor prognostic sign in patients with liver disease. Most cytotoxic drugs can cause bone-marrow toxicity (myelosuppression). Vincristine is generally regarded as minimally myelosuppressive in dogs, but has been reported to cause significant myelosuppression in cats (Hahn el ah, 1996). Neutropenia is one of the more common complications of chemotherapy and is the major dose-limiting factor. Neutrophil counts < 2 X 109 1 can be life threatening, with a risk of overwhelming sepsis. Thrombocytopenia can occur, but is rarely severe enough to cause bleeding. Mild anaemia may also occur, but is often indistinguishable from anaemia of chronic disease. It is essential that a blood sample is taken for full haematology as a baseline before embarking on a course of chemotherapy and regular monitoring will be required to assess for myelosuppression throughout treatment (at least every 3 4 weeks, or more frequently depending on the protocol used). Domized phase II trial in cancer patients who had previously received platelet transfusions for severe chemotherapy-induced thrombocytopenia. Ninety three patients who had received platelet transfusion for nadir platelet counts less than 20 000 pi during chemotherapy cycle immediately prior to entry into the study were randomized to receive placebo or IL 11 at doses of 25 or 50 p,g kg subcutaneouslv once daily for 14 to 21 days beginning one day after chemotherapy. Chemotherapy was continued during the study without dose reduction. The results demonstrated that IL-11 treatment at a dose of 50 pg kg significantly reduces the need for platelet transfusion in subsequent chemotherapy cycles for patients who had required platelet transfusions for severe thrombocytopenia in a previous cycle. The thrombopoietic effect of IL-11 is being further evaluated in other phase II and phase III trials. In the article by Mougenot et al. (188) that was cited in the previous section, population modeling was applied to evaluate covariate effects on PK parameters of melphalan infused over a 24-hour period in patients with advanced malignancies. Highly significant and pronounced gender effect on CL was identified. In an attempt to establish an exposure-response relationship, the authors plotted the percentage decreases in red blood cells count, white blood cells count, and platelet count at the nadir during each chemotherapy course against AUC. As one could expect from such a simplistic analysis, no relationship was found. It seems the adequate mechanistic-based PK-PD analysis would use indirect-response models (239), in particular, models that take into account the cell turnover and cell life-span (240-244). 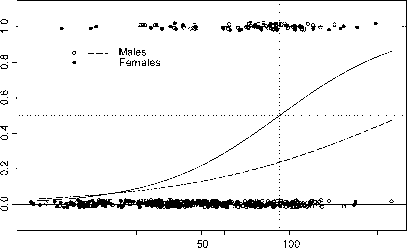 The PK-PD modeling approach would enable researchers to explore the impact of patient covariates like gender on essential processes involved, including the drug effect. Thrombocytopenia Less than 100,000 platelets per mm3 2. Laboratory evaluation consists of hematocrit (hemoconcentration suggests preeclampsia), platelet count, protein excretion, serum creatinine, serum uric acid, serum alanine and aspartate aminotransferase concentrations (ALT, AST), and lactic acid dehydrogenase concentration (LDH). G. Hematologic changes. Increased platelet turnover is a consistent feature of preeclampsia. The most common coagulation abnormality in preeclampsia is thrombocytopenia. Infants and children with bloody diarrhea may have a gastrointestinal infection due to Escherichia coli O157 H7 and are at risk of developing HUS. The source most frequently identified in outbreaks has been exposure to undercooked ground meat, undercooked poultry, eggs, or unpasteurized milk. Person-to-person transmission, especially in child day-care centers, is also a well-recognized risk factor for childhood HUS. The risk is highest for children under 5 years of age who are infected with E. coli O157 H7 and may approach 13 percent.6 Any child who presents with acute bloody diarrhea and laboratory evidence of hemolytic anemia, thrombocytopenia, and or elevated serum creatinine should be admitted. IL-11 is a bone marrow fibroblast-derived cytokine with a variety of in vitro biological activities within the hematopoietic, lymphopoietic, hepatic, adipose, bone and neuronal systems. IL-1 I has been tested in various animal models including mice, rats, hamsters, rabbits and nonhuman primates. Some of these in vitro and in vivo studies are summarized in Tables 2-4. It appears that IL-11 may be a potential therapeutic agent for thrombocytopenia and neutropenia following myeloablative therapy and bone marrow transplantation. Azathioprine interferes with both B- and T-cell responses to antigenic stimulation. Generalized myelosuppression is a common side effect resulting in leukopenia and, to varying degrees, thrombocytopenia and anemia (megaloblastic) and is generally seen within the first few weeks. Other observed toxicities include hepatitis, cholestasis, hepatic vein thrombosis, pancreatitis, dermatitis, and alopecia. Prolonged use also predisposes to malignancies such as squamous cell carcinoma of the skin and lip, cervical carcinoma, and lymphoproliferative disorder. The HELLP syndrome (an acronym for hemolysis, elevated liver enzymes, and low platelets) is an important clinical variant of preeclampsia that has a predilection for the multigravid patient, in contrast to the primigravida, in whom preeclampsia is more common. In the HELLP syndrome, the blood pressure is variable and may not be elevated initially. This fact, combined with the usual complaint of epigastric or right upper quadrant pain, makes it easy to mistake the HELLP syndrome for other causes of abdominal pain, such as gastroenteritis, hepatitis, pancreatitis, or pyelonephritis. The HELLP syndrome should be considered in any pregnant or postpartum patient who presents to the emergency department with a chief complaint of abdominal pain. The diagnosis can be made based on clinical findings coupled with laboratory results (Table 1.0.1.-4). Widespread hematologic disorders may be apparent both clinically and on laboratory evaluation. Purpura, conjunctival hemorrhages, petechiae, pulmonary, gastrointestinal, and renal hemorrhages may be present. Coagulation studies may show thrombocytopenia, hypoprothrombinemia, and hypofibrinogenemia. Thermal injury to the vascular endothelium causes increased platelet aggregation, changes in capillary permeability, thermal deactivation of plasma proteins resulting in a decreased level of clotting factors, and, rarely, disseminated intravascular coagulation or fibrinolysis. ROLE OF THE EMERGENCY DEPARTMENT Specific critical pathways similar to those used for AMI (Door, Data, Decision, Drug) should be used to speed the evaluation of patients with acute stroke. Triage personnel should be educated to identify patients with symptoms of acute stroke and instructed to immediately place such patients in a monitored bed and initiate the aforementioned general recommendations. Automatic studies include a CBC with platelet count, coagulation profile, type and screen, bedside glucose determination, and an electrocardiogram. The emergency physician should be notified of a potential acute stroke, and an acute stroke system, if in place, should be activated. Delivery should be undertaken if there are signs of worsening disease (eg, severe hypertension not controlled with antihypertensive therapy, cerebral visual symptoms, platelet count < 100,000 cells microL, deterioration in liver or renal function, abdominal pain, severe fetal growth restriction, abruption, nonreassuring fetal testing). The effects of different doses of fish oil on thrombosis and bleeding time have been investigated. A dose of 1.8 g EPA day-1 did not result in any prolongation in bleeding time, but 4 g day-1 increased bleeding time and decreased platelet count with no adverse effects. In human studies, there has never been a case of clinical bleeding, even in patients undergoing angioplasty, while the patients were taking fish oil supplements. Clinical investigations indicate that n-3 fatty acids prevent sudden death. A series of intervention trials have clearly shown that the addition of n-3 fatty acids in the form of fish oil (EPA and DHA) decrease the death rate in the secondary prevention of coronary heart disease by preventing ventricular arrhythmias that lead to sudden death. Patients with hemoglobin of less than 9 g dL can have significant surgical morbidity. A peripheral blood smear may indicate the etiology of the anemia. Macrocytosis or microcytosis suggests significant anemia, target cells are seen in splenic hypofunction, and spherocytes and schistocytes are seen in hemolytic anemias. The usual initial screening coagulation tests include a PT, aPTT, and a platelet count. Qualitative and quantitative defects are seen in platelets in the presence of uremia and liver disease. Platelet aggregation studies and a bleeding time test can identify qualitative defects in platelets. In idiopathic thrombocytopenic purpura, intravenous immune globulin 2 g kg over 2-4 days can be given to increase platelet counts. If the thrombocytopenia is drug induced, the drug should be stopped and the patient allowed to recover prior to operation. 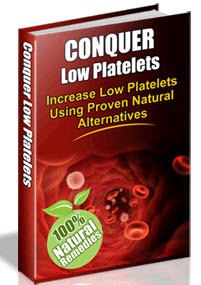 If the surgery cannot be delayed, platelet transfusion should be undertaken. A pivotal trial of SRT was carried out in 28 adult patients (from four centers Cambridge, UK Amsterdam Prague and Jerusalem) naive to enzyme therapy, with mild to moderate type I Gaucher disease, who were unable or unwilling to receive enzyme treatment. There was significant reduction in spleen and liver, although amelioration of anemia and thrombocytopenia lagged behind. There were side effects, including diarrhea, abdominal pains, weight loss, tremor, and peripheral neuropathy, which were reversible with dose reduction or withdrawal. 15 A low-dose trial showed dose dependency for clinical improvement but no reduction in severity or frequency of side effects. Finally, using SRT as a maintenance regimen (i.e., switching from ERT or in combination with ERT), at 6 months, there were no clinically significant differences among groups. Hantavirus pulmonary syndrome is a febrile illness characterized by bilateral interstitial pulmonary infiltrates and respiratory compromise resembling adult respiratory distress syndrome. There is typically a prodrome of fever, chills, myalgias, headache, and gastrointestinal distress. Common laboratory findings include one or more of the following hemoconcentration, left shift in white blood cell count, neutrophilic leukocytosis, thrombocytopenia, or circulating immunoblasts. Abnormal findings include anemia, thrombocytopenia, coagulopathy, hyponatremia, and raised urea and creatinine. Hypocalcemia may occur in some cases, subsequent to the chelation of ionized calcium by triglycerides liberated by bacterial lipases. Leukocytosis with a white cell count above 15,000 mm3 and a left shift is found in more than 90 of cases. Neutrophilia indicates overwhelming bacterial infection. It is noteworthy that leukocytosis may not be present in immunosuppressed patients (Baskin et al. 1990 Laucks 1994). Anemia maybe present as part of the septic profile. Coagulopathy may be indicated by a raised prothrombin time (PT) and partial thromboplastin time (PTT), and thrombocytopenia. Raised fi-brinogen levels and positive D-dimers may herald the onset of disseminated intravascular coagulation (DIC).